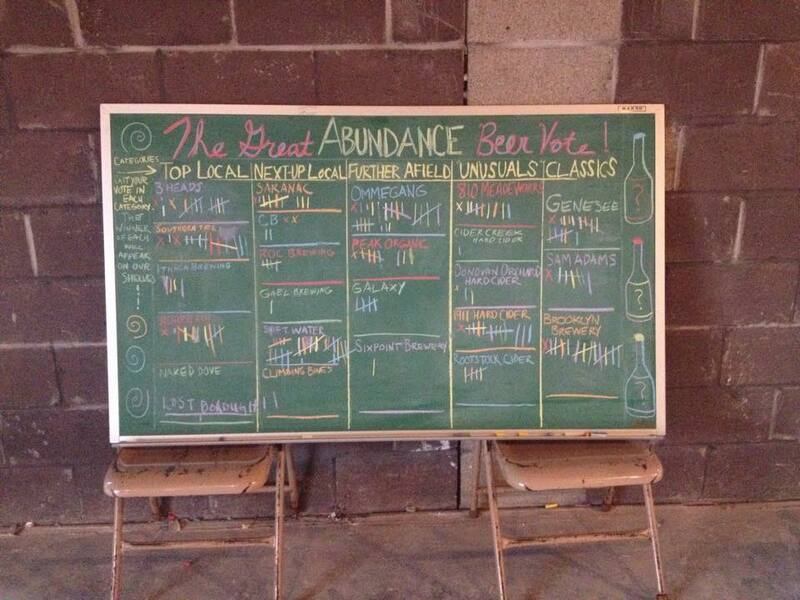 The Great Abundance Beer Vote–Results are in! Last Saturday, we put the top suggested brews up to a vote at our first Pop Up Market in the South Wedge. The vote decides what breweries we will carry for our first selection of beer (ever) at Abundance. Our first range will be smaller at our current location, but will expand once we are moved to our new home in the South Wedge. * This category resulted in a tie between Genesee and Brooklyn Brewery. A tie-breaker vote was held among Abundance staff.